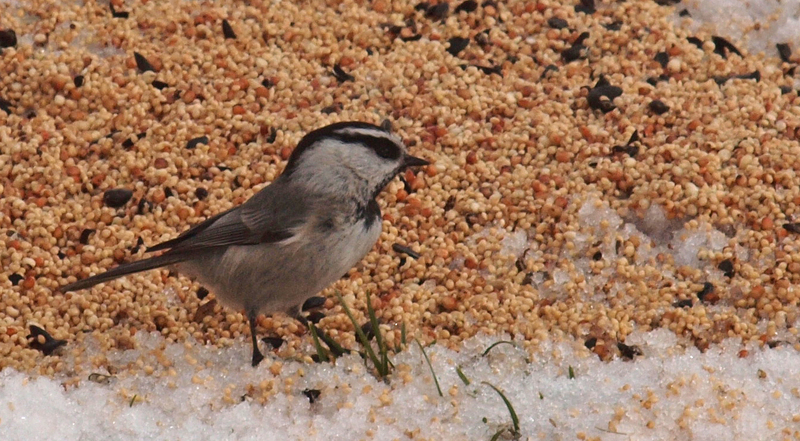 I had my very first BC chickadee in my yard this winter season too. Congrats! Fantastic! 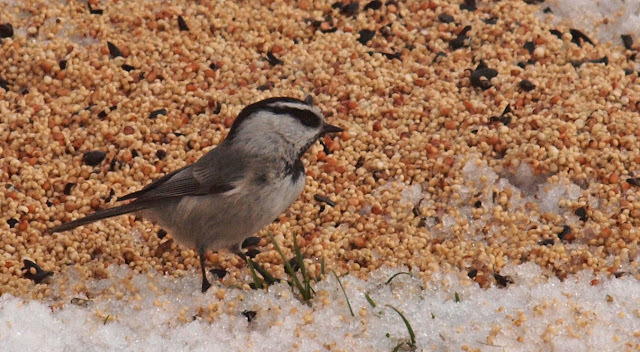 We have lots of BC Chickadees visiting our feeders but I have never seen a Mountain Chickadee before. So very cute. 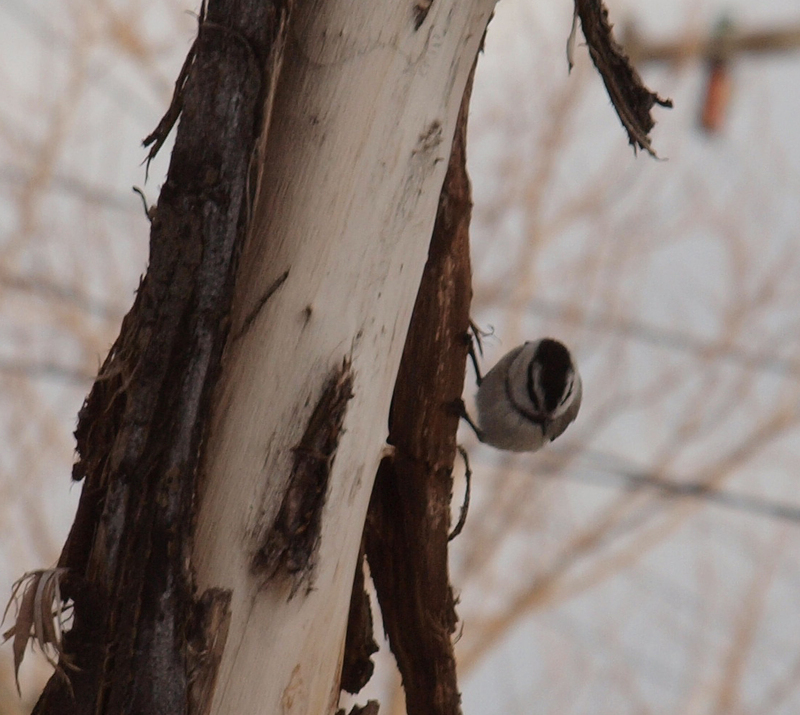 Chickadees are certainly a joy to observe. So very curious and tame. Enjoy your new guests! @ABranch - Now that you mention it...I hadn't thought about it before...but this yard is my first that can boast the Black-capped Chickadee on my yard list. So both BC and Mtn are new yard birds for me! @Julie G - The Mtn. Chickadee does seem a lot more skittish than the BC's, but I when camping in the mtns of Idaho and Utah, I've been able to call in Mtn. Chickadees and they come to within feet of you. Pretty cool! 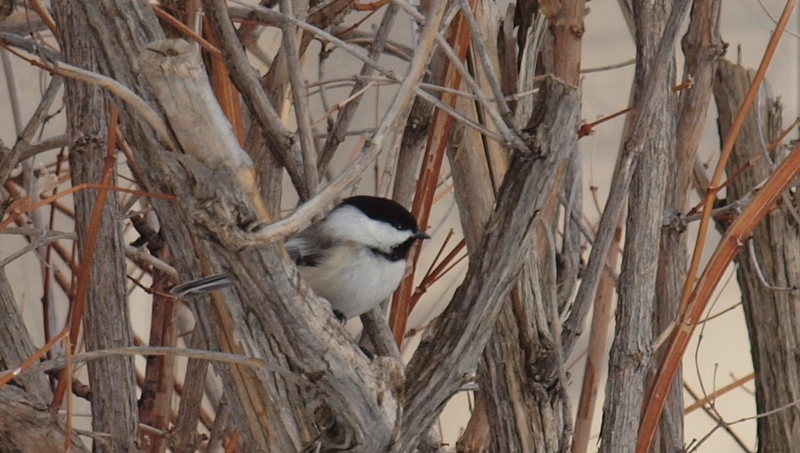 We are lousy with Black-capped Chickadees here. They are the only chickadee I've ever seen. Mountains are so cute, congrats on getting it on your yard list! @Amy - Thanks for dropping by Birding is Fun! and for leaving a comment. Here's to wishing you see many varieties of chickadees in the future. I also have a yard full of BC Chickadees but have never seen a Mountain..I thought I had one in the yard last spring but it turned out to be a Black-throated Gray Warbler. @YsMum - Now I would love to see a Black-throated Gray Warbler anywhere! Lovely pics! 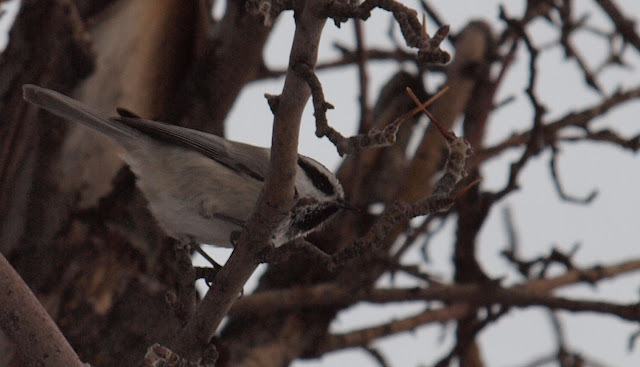 I have never seen a Mountain Chickadee before - they are a world away for me. Next on my wish list, to see a Boreal Chickadee in Northern VT.
@Hilke, I'm with ya on hoping to see the Boreal Chickadee. One of the best things about living along the Wasatch Front is that overlap in species seen from valley birds to mountian birds! How exciting! @Kathiesbirds Amen to that! This mountain + lake zone of habitat is pretty cool.